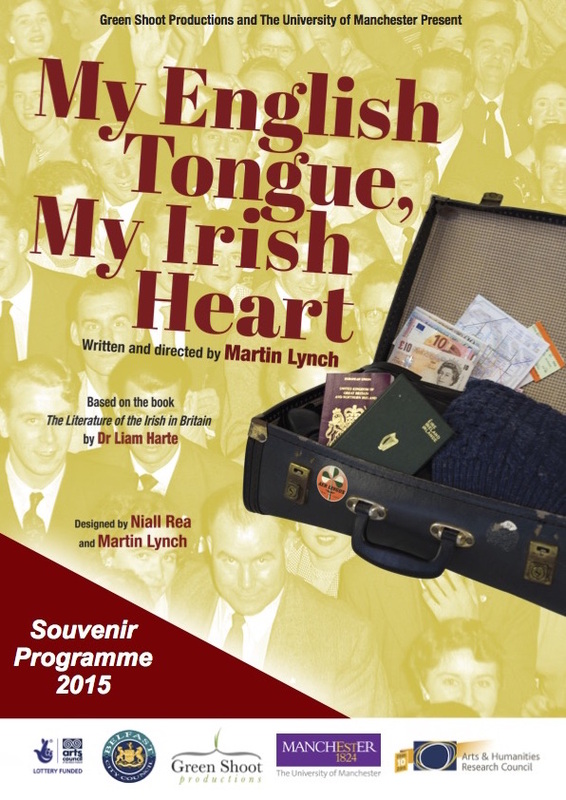 This strand of the My Country, A Journey project extended the use of research-based drama and performance as sites for cross-cultural encounter, dialogue and experiment. It was funded by an award from the AHRC Connected Communities Festival 2015, which enabled the project team of Dr Andrew Hardman (researcher-filmmaker, Belle Vue Productions), Dr Sheila McCormick (early career researcher, University of Salford) and myself to use drama, storytelling and film to explore and share migration narratives centred on Manchester. Co-sponsorship was provided by the School of Arts, Languages and Cultures at the University of Manchester. 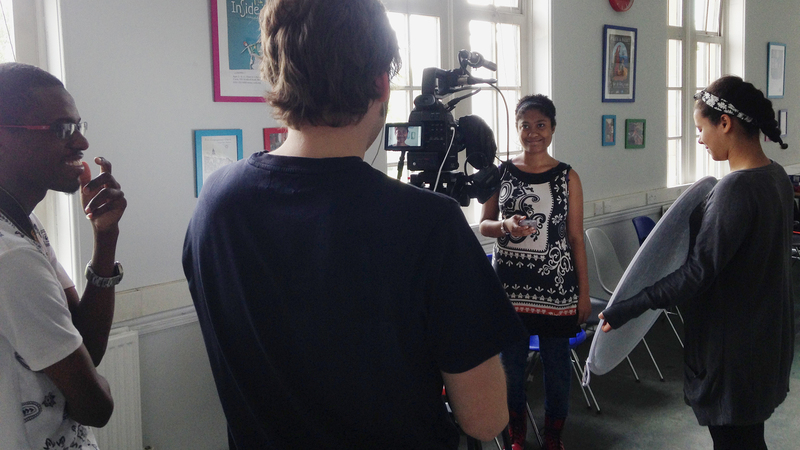 Young people from Rathbone England developing stories and performances during an AHRC-funded workshop. 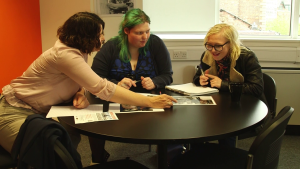 Our activities consisted of participatory workshops, a film screening and readings by young and adult creative writers, including members of Manchester Irish Writers, notably Bridie Breen, Annette Sills and Patrick Slevin. Workshop participants co-filming their performances with researcher-filmmakers from Belle Vue Productions, Z-Arts, Manchester, June 2015. 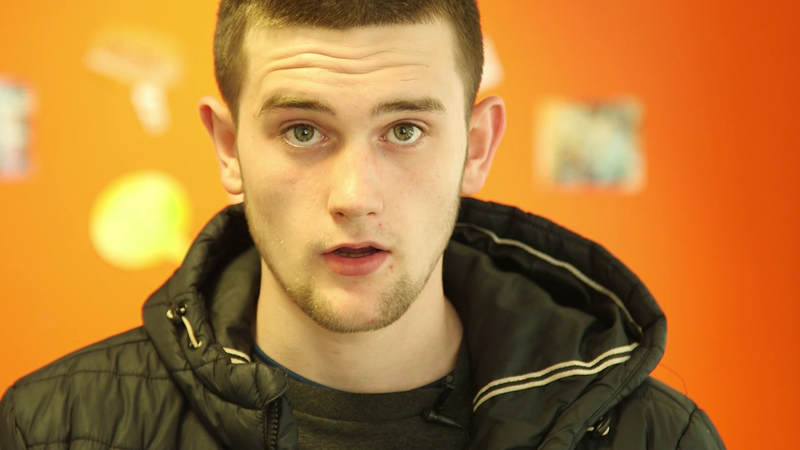 The workshops were hosted by Z-Arts in Hulme and Rathbone England in Piccadilly Gardens. In them, we made creative use of archival material from the Ahmed Iqbal Ullah Race Relations Resource Centre, whose mission is to educate people about Britain’s ethnic minority community. 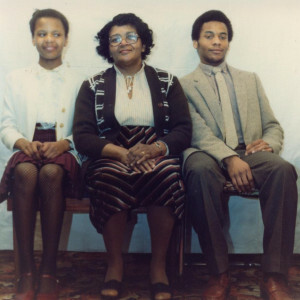 Archival photograph used in the workshops. Courtesy of The Ahmed Iqbal Ullah Race Relations and Resource Centre in Manchester. Drawing on written and visual materials from the Trust’s oral history projects, we helped the workshop participants to develop characters based on the life stories of earlier immigrants in Manchester, from whose perspective they wrote letters and postcards to friends and family ‘back home.’ These letters and postcards were then read and/or performed by the participants and co-filmed by them. 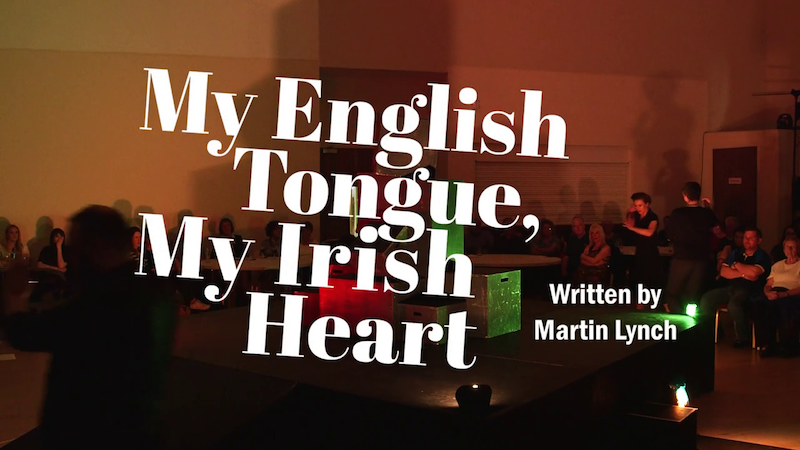 The resultant film was shown at the final community event at Z-Arts in July 2015, alongside a screening of a filmed performance of My English Tongue, My Irish Heart. Many thanks to Charlotte, Gus, Kyle, Nadia, Philippa, Ruddy, Rudi and Salih from Z-Arts, and to Aaron, Brian, Carriss, Grace, Kayleigh, Laura, Liam, Mark, Muktar, Nathan and Zoe from Rathbone.